Some photos of the herd enjoying the new Pasture Paradise Track that we put in the weekend before. It seems so long ago and I been completely delinquent, but here it is the post about posts. It was a lovely mid October day for farm work, we had help from our farm family, boarders and friends. We put in a little less than 100 posts. This completed the track system around the back pasture. Following the full day of work we were graced with a beautiful sunset. 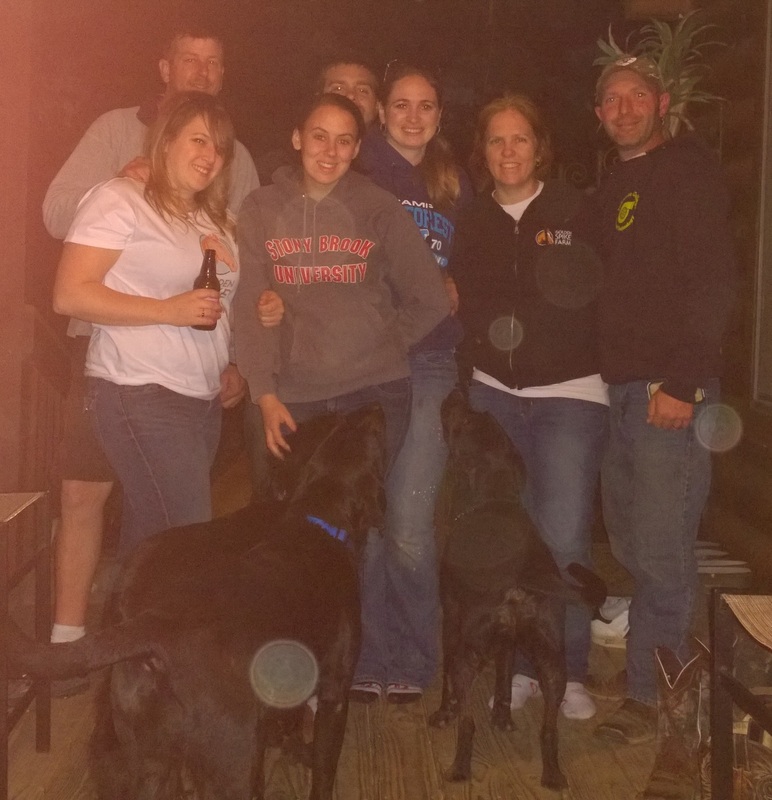 Then we all went to the house to have dinner, a few drinks and a bon fire. Save the date to Volunteer at GSF! For more information and to let us know you can help out please click here to go to the Facebook event page. So after acquiring 100 fence posts at $1 each we are ready for part 2 of the paddock paradise track system. See the last plog post about part 1 here. This time we will be creating a track system for the horses to walk around the outside of the back pasture. See diagram below. Blue lines are fences that are already there. They were put up at the last fence party. To check out the post and see how much fun we had click here. Yellow lines represent the new fence that will go up on the 18th that will have wooden posts and. 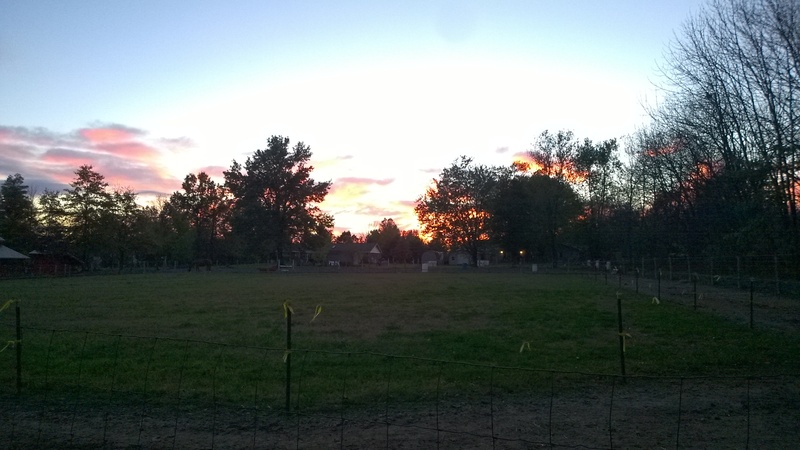 Red line is the fence that will be put up to prevent the horses from going into the newly dug drainage ditch. These post will be metal because we can’t get the tractor auger in that area due to the trees. The horses will then have permanent access a 10 – 12 feet across track around the back pasture. The whole track system at that point will be a 1/3 of a mile the horses can walk on and check out every day. Thanks in advance for your help and support of the farm.